Written sometime during 880-920 ad by Rajasekhara: an eminent poet, this first English translation of Kavyamimamsa is a kind of practical treatise for poets: kavisiksa manual – highlighting, all possible attributes that go into the making of a good poet and a good poetic composition. As a body, Sanskrit writings unfold Indias millennia-long, almost unbroken intellectual tradition: not only of philosophy and grammar, but of literary theory as well. The concepts and critical theories, which the Sanskrit poeticians advanced or the issues they sought to address, inhere both universal appeal and validity. And, with certain modifications, these can well live up to the demands of modern literature. In this long and powerful tradition of Sanskrit literary theory that marked a definitive begining with Bharatas Natyashastra (first century ad), Kavyamimamsa is a monumental work. Written sometime during 880-920 ad by Rajashekhara: an eminent poet, dramatist and critic, it is a kind of practical treatise for poets: kavishiksha manual – highlighting, as it does, all possible attributes that go into the making of a good poet and a good poetic composition. Among other relevant aspects, Rajashekhara also includes here a systematic exposition of the views/opinions of his predecessors, with illustrations of the literary practices of various times and climes put down after careful empirical observation. Now, when there is a growing scholarly interest in the study of Sanskrit literary theory and how it is positioned vis-a-vis the Western critical tenets, Dr. Sadhana Parashar brings Rajashekhara’s classic within everyone’s reach – offering the first-ever, complete English translation of Kavyamimamsa, with its original Sanskrit text and comprehensive explanatory notes. For sure, it is invaluable to the scholars of linguistics and literary criticism. 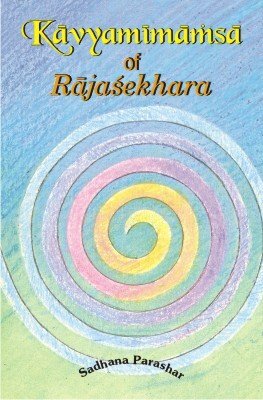 Buy the book Kavyamimansa of Rajasekhara from Ideakart.com.